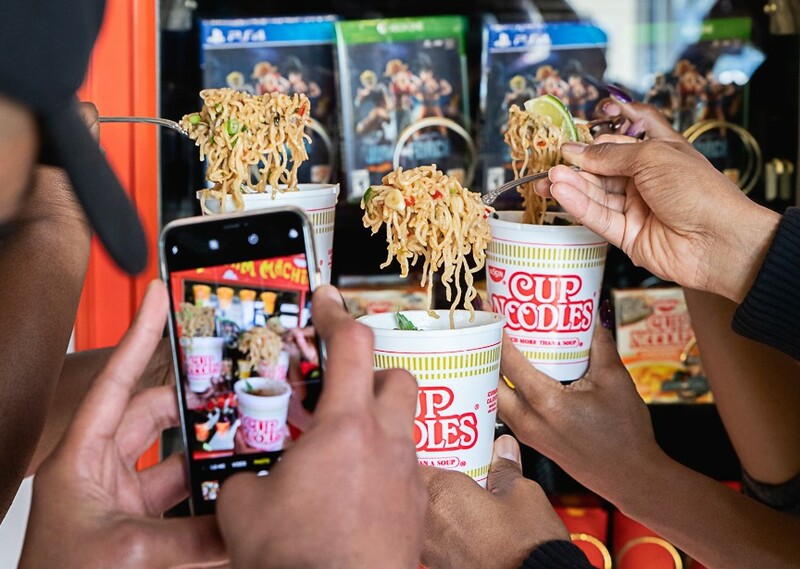 Folks on Instagram have recently been spotted posting selfies with a vending machine that dispenses free Nissin Cup Noodles, among a variety of other free prizes. 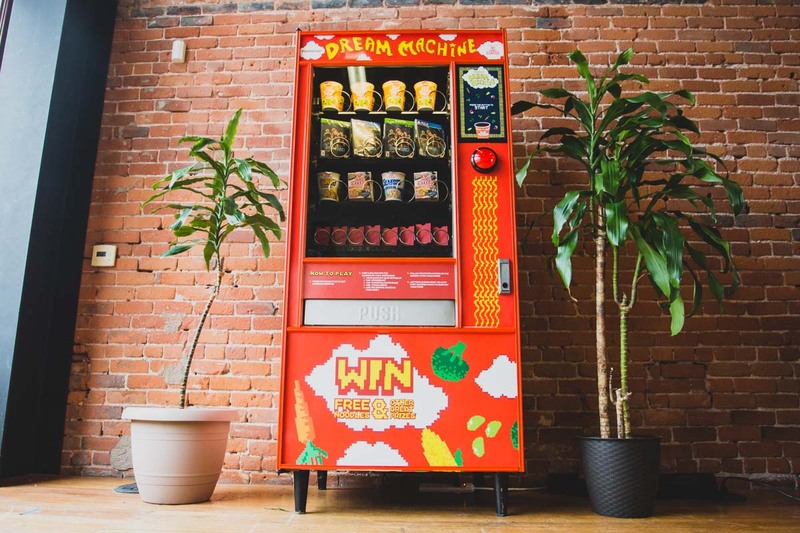 Dubbed the FOODBEAST #DreamMachine, the special vending machine from Nissin Foods USA and Foodbeast dispenses its loot using Instagram. Anyone can walk up and push the big button to activate the Dream Machine. Instructions on the screen will prompt the user to take a photo with the machine. Next, the user will post their photo to Instagram using a special hashtag generated by the machine. 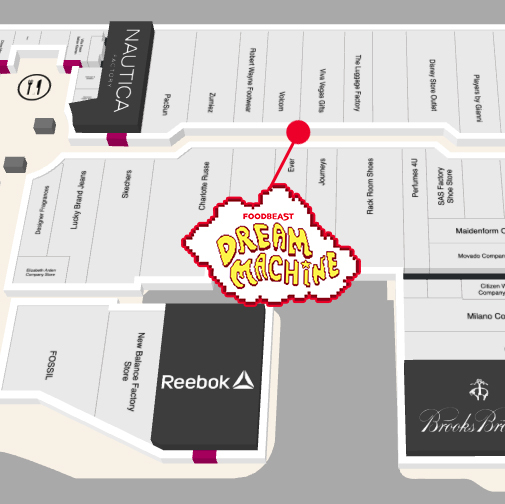 After the selfie and hashtag are posted, the Dream Machine knows what to do and will dispense a prize, ranging from free Cup Noodles to JumpForce video games, and even gift cards to various retailers. Could this be the future of how vending machines work? Using social media to power one is a pretty intriguing concept, especially when free noodles and video games are involved. 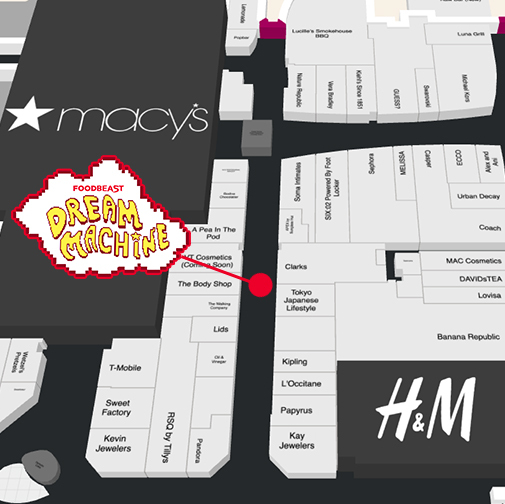 The FOODBEAST #DreamMachine will be in the Del Amo Fashion Center in Torrance, California starting March 1, and the Las Vegas Premium Outlets South in Las Vegas, Nevada starting March 6. They will be dispensing prizes throughout March, so make sure to check one out! Where would YOU like the FOODBEAST #DreamMachine to travel next?